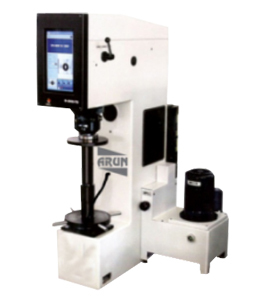 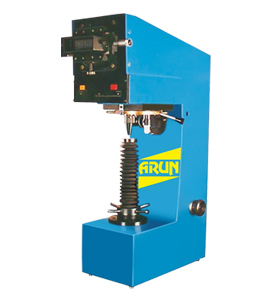 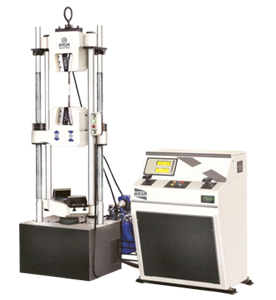 Fully Computerised ( TOUCH SCREEN Based ) Brinell Hardness Tester. 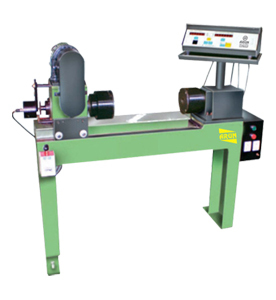 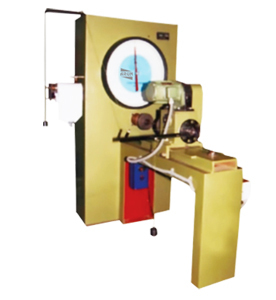 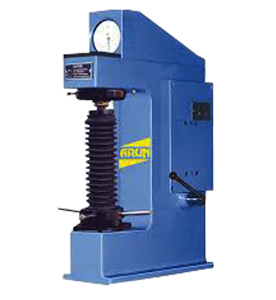 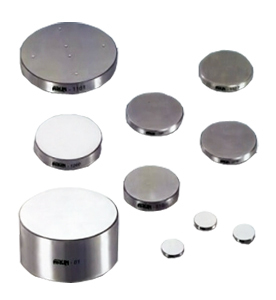 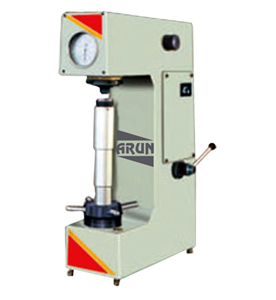 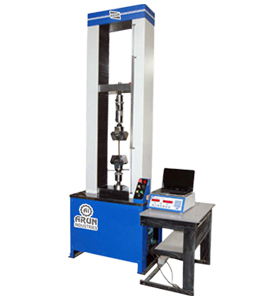 Wide Testing Range : from soft metal to medium hardness steels. 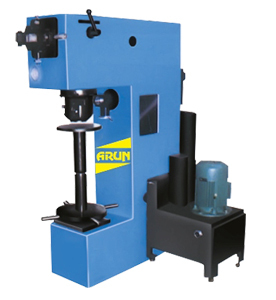 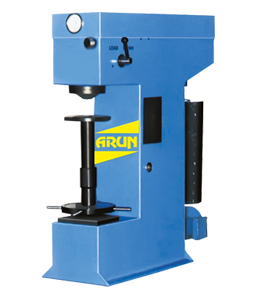 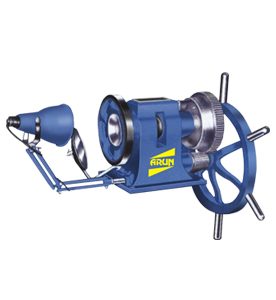 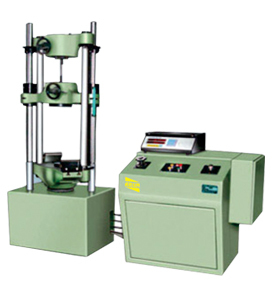 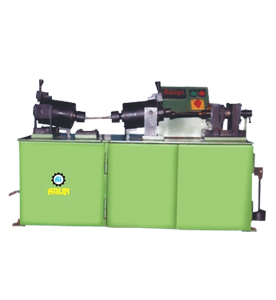 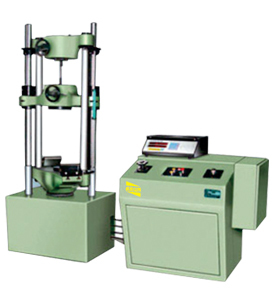 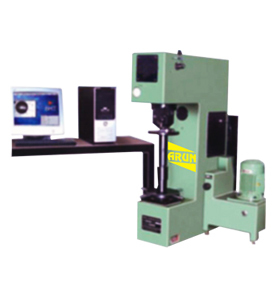 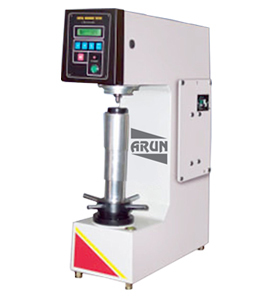 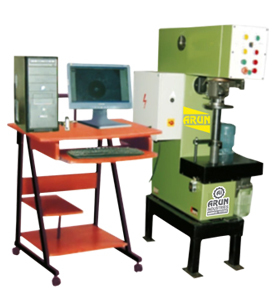 'The robust machine frame is designed to accommodate the high precision loading system and an optical device with CCD camera. 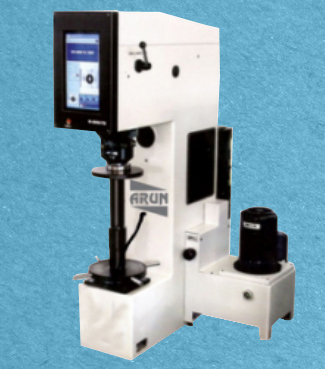 Specimen is placed on a testing table and brought in contact with clamping cone. 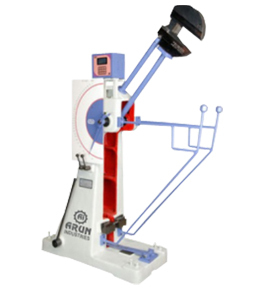 Load/Unload/Read operations are done through a 3-position hand lever. 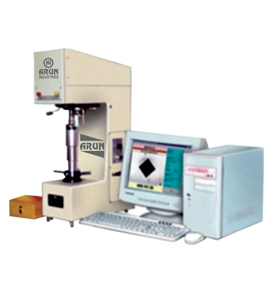 The image is digitized using a CCD camera fitted on the optical device and is captured by the PC. 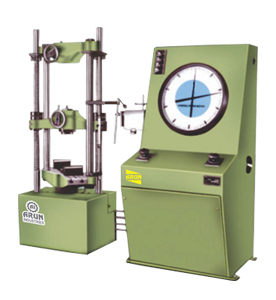 The diameters of the indentation are directly measured by Pc to give the Brinell hardness number directly.